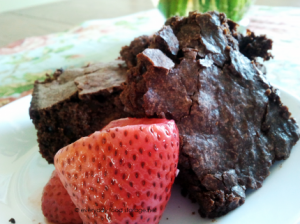 Nice recipe for brownies made from food storage. Everyday food storage has this recipe and what I really like about it is you can choose to use oil or substitute bean puree for the oil. She has a free download of a HOW-TO MAKE HOMEMADE MIXES HANDOUT too. I am definitely making those brownies.